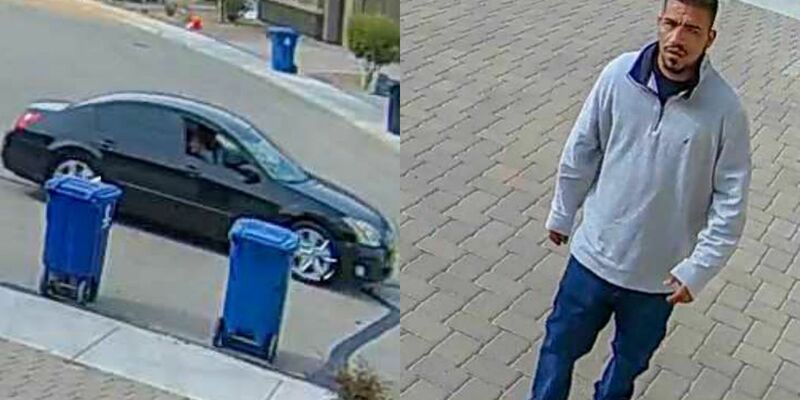 TUCSON, AZ (KOLD News 13) - On Thursday, Jan. 31 the Marana Police Department asked for the public’s help in identifying a man who they believe stole a package belonging to a Marana resident. A camera outside the resident’s home captured what looks to be a porch pirate stealing a delivered package. On Friday, Feb. 1 thanks to anonymous eyes on the streets, Marana’s possible porch pirate has been identified, but is still outstanding according to the MPD. The MPD also learned the suspect may have also stolen a dog. According to MPD when officers arrived at the suspect’s home they recognized a dog in the back yard that looked similar to one that was reported stolen in the same area on Thursday. The owner of the stolen dog was contacted, they verified the dog was theirs and the pup was returned home. In the video footage, the suspect’s vehicle is described as a 2005 black Nissan Maxima with tinted windows. Two people were seen inside the vehicle and approached the home by parking in the front of the house on the street. One suspect gets out of the vehicle, walks up to the home, notices the camera and takes the package away. The camera captures the suspects waiting inside the vehicle before speeding off. If anyone has any information on the suspect or the vehicle in the photos, please contact Marana Police Department at 520-382-2000, as they would like to speak with him in reference to an active theft investigation.